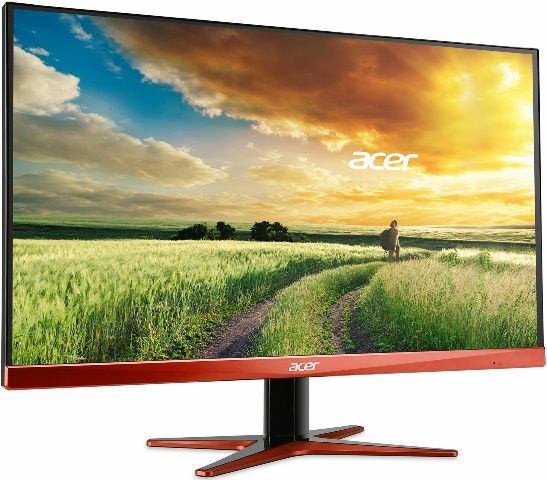 Acer has been releasing quite a number of good or even great gaming monitors this past few months. We’ve seen their G-Sync monitor (Acer XB280HK 4K UHD), now they recently announced the world’s first monitor with AMD Freesync – the Acer XG270HU. The Acer XG270HU is a 27-inch gaming monitor that offers an ultra-smooth gaming experience by eliminating screen tearing and stuttering with AMD Freesync technology and supports AMD Radeon R-Series graphics card. It features a WQHD or 2560×1440 display resolution and a fast 144Hz refresh rate that should reduce or eliminate blurring. It also features an edge-to-edge frameless design making it great for a multiple-monitor setup. The rest of its features can be read from the official press release below. With FreeSync technology, the XG270HU monitor’s frames are synced with the graphics card’s frames to eliminate screen tearing and stuttering. This technology minimizes lag and latency, thereby offering ultra-smooth action sequences that are essential for enjoying the latest games. The XG270HU’s edge-to-edge frameless display maximizes the viewing area and affords a seamless viewing experience for multi-monitor setups. Its fast 1ms response time assures that actions or dramatic transitions will be rendered smoothly without smearing or ghosting effects. 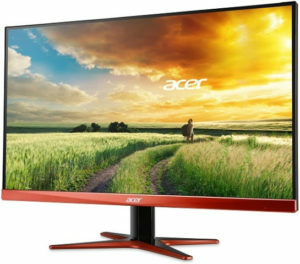 The XG270HU is adorned with Acer’s characteristic gaming visual identity with a bold orange strip along the bottom horizontal frame and outlines the base stand. For easy connectivity, the monitor includes HDMI 2.0, dual-link DVI, DisplayPort 1.2, and 2 x 2W speakers. To reduce eye strain and potential eye damage from prolonged viewing, the XG270HU is built with Acer EyeProtect technologies. This includes flicker-less technology that eliminates screen flicker through a stable supply of power; ComfyView which reduces reflection from ambient light sources on the non-glare panel, low-dimming technology that adjusts screen brightness when working in non-optimal lighting conditions, and a blue light filter to reduce blue light exposure. Editor’s Note: The Acer XG270HU uses a TN panel. It’s not IPS, so don’t expect to have a wide viewing angle or even fantastic colors. But the 1ms response rate and fast 144Hz refresh rate, not to mention AMD Freesync as well, is still very much enough to give you a great, if not fantastic gaming experience. As of today, pricing is still unknown. 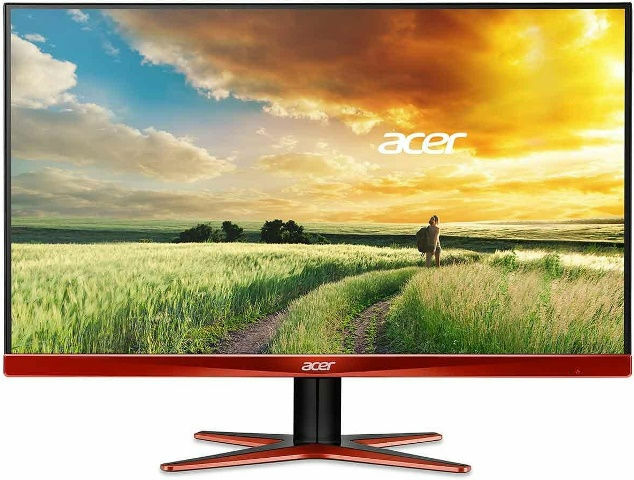 But since the Acer XB280HK, a 4K gaming monitor with G-Sync, is now available for $756.45 here, expect that the XG270HU will be priced lower than that. Probably, it would be around $500 to $600 USD (just a wild guess). In Win GRone Full Tower Case Review – Huge and Plenty of Room!